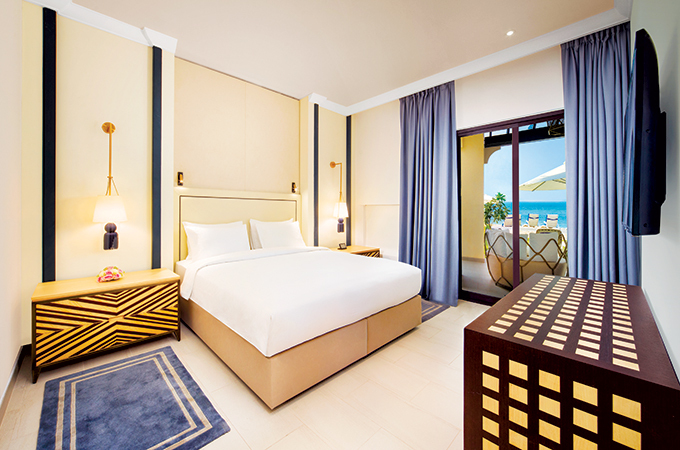 Beachfront property Hilton Ras Al Khaimah Resort & Spa has completed an extensive refurbishment across its accommodation product seeing 151 villa rooms renovated from top to bottom. Aimed at spotlighting the hotel’s role as a symbol of quality hospitality, the new villas support the re-positioning of the resort as the leading leisure option in the emirate of Ras Al Khaimah with enhanced privacy in a luxury setting. The project also includes the introduction of new levant inspired Al Maeda restaurant set to open in Q2 and a Mediterranean influence beach bar – the SOL Bar, which opened in Q1. The refurbished villas consist of guest rooms, suites, one and two-bedroom options as well as the entire villa. They are suitable for families with direct access to the beach for the lower floors and uninterrupted views of the Arabian Gulf for the higher levels. Additional in room services include breakfast in bed and, for an additional charge, a private terrace barbeque as part of the guest experience. Each villa has access to the resorts amenities whilst being set back from the main hotel allowing for privacy. As for the décor, it complements the local surroundings with hints of azure throughout and a minimalistic feel for added space.